I saw a movie double feature this afternoon — Inside Llewyn Davis, directed by the Coen Brothers, and Her, directed by Spike Jonez. But I needn’t have bothered. They are the same film. Both are about men who had recently lost a partner and were struggling to reconnect. When they do, they choose individuals — and I use that word consciously — that their friends and family don’t readily understand. Each movie follows their journey. I would argue that Davis is the more successful of the two. Set in the 1960’s, it is stripped down and soulful, the soundtrack doing much of the storytelling and Oscar Isaac’s deep-set eyes doing the rest. I read the cats were divas on set, but I found them very affecting. Her is set in an unnamed future, told amid high rises and high tech. Compared to the very internal Davis, this movie’s heart is on its sleeve. Joaquin Phoenix’s character writes emotional, personal letters for other people for a living, yet can’t sustain a relationship…until he gets his new OS. I do love Scarlett Johansson’s voice acting, but the movie itself is at least thirty minutes too long. 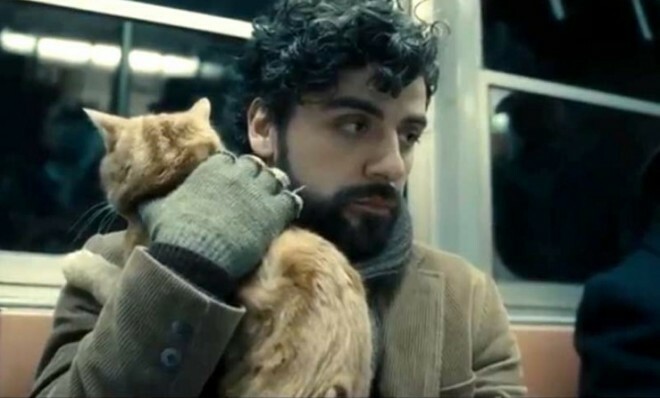 If you’re not one to spend five hours in the theatre, I suggest Inside Llewyn Davis for its beautiful story, amazing performances and soundtrack that stays with you long after you leave the theatre. The films were The Perks of Being a Wallflower starring Emma Watson and Ezra Miller, and Trouble with the Curve starring Clint Eastwood and Amy Adams. Obviously the latter had the big name stars. But I would argue the former featured more interesting acting choices. Clint Eastwood harumphed his way through Curve, playing an ol’ curmudgeon that appears to be the extent of his repertoire. It’s just an older version of Dirty Harry. Or the Outlaw Josey Wales. Or any role he’s ever played. ‘Cause he’s only got the one. 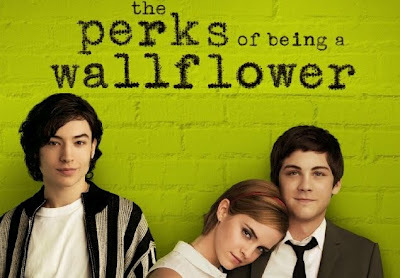 In Perks, Ezra Miller plays a lovable, gay, sometimes cross-dressing stepbrother to Harry Potter’s Emma Watson. 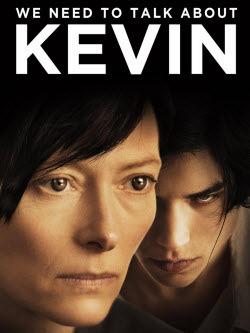 It took me to the end credits to realize that he was the same actor who played the title character in last year’s award-winning We Need to Talk about Kevin, a sinister teenager who used a bow-and-arrow to orchestrate a massacre at his high school. He was unrecognizable in Perks. And it’s not like he had dyed his hair or changed his physique. He simply committed to a different character choice so completely, it almost changed the contours of his face. Something tells me Clint could never lose the squint. 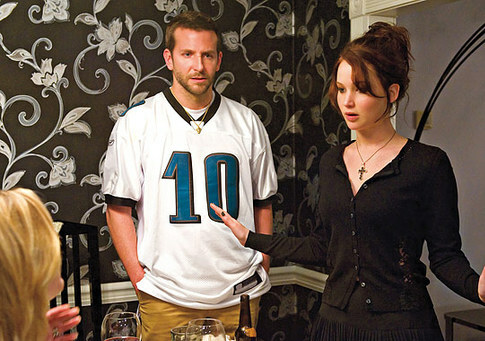 I went to see Steve Carell and Keira Knightley in Seeking a Friend for the End of the World yesterday. It was supposed to be the first movie in a double feature afternoon. But I still had a cinematic “WOW” moment. 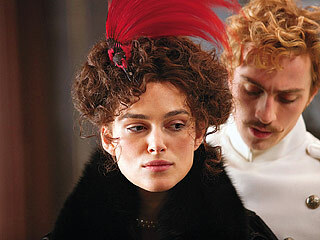 AMC showed a trailer for Keira’s next film, Anna Karenina, which comes out in November. Full disclosure: I’ve never read the book, but I actually felt the air leave my lungs. I wanted to cheer or comment from my seat, but for once I kept quiet. See for yourself!